When it comes to collecting art, buying works by Warhol, Basquiat, Picasso, and other deceased masters will always be a smart move, partially because they can't create any new pieces, which raises the value of the existing ones. Investing in work by artists who are still alive can be a bit trickier, but Artnet's list of the 100 most collectible living artists is a good place to start. Using auction data collected over the past five years, Artnet was able to quantify popularity and overall collectibility, ranking each artist in terms of the number of works sold and the total value. 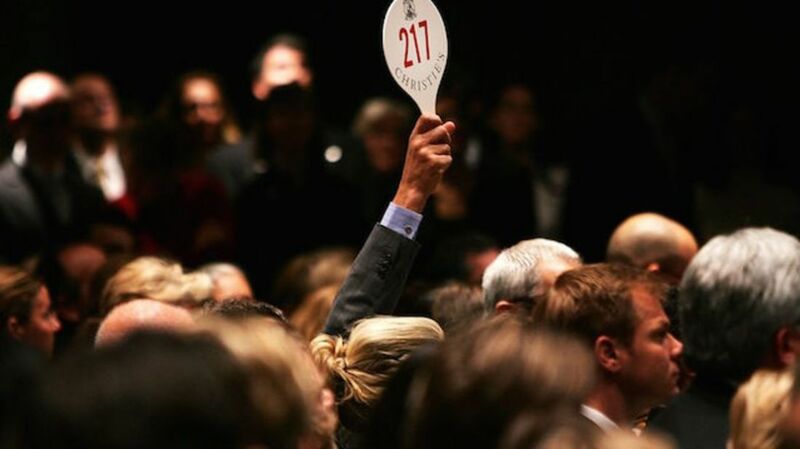 At the top of list is 84-year-old German visual artist Gerhard Richter, who according to Artnet saw 1418 of his works sold at auction between 2011 and the first few months of 2016 for a total of $1,207,418,584. In second place is American artist Jeff Koons, with 721 pieces valued at $438,288,081. There are other names scattered throughout the top 100 list that casual art fans will recognize, including Damien Hirst, Yoshitomo Nara, Robert Indiana, Ai Weiwei, and the infamous street artist, Banksy, but the remainder of the list will probably not look familiar to most. Scroll down to read the full list, and head over to Artnet to also see a list of the top selling lots from the past five years, which is also dominated by Richter and Koons.